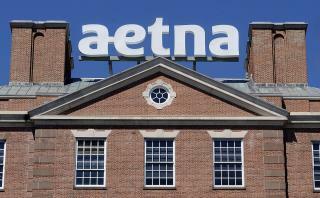 (Newser) – Competition for talented university graduates appears to be heating up: Health care giant Aetna has become the latest big company trying to woo young workers by offering to help them pay off their mountains of student debt, USA Today reports. Full-time employees who have earned degrees within the last three years will be granted up to $2,000 a year in matching loan payments, with a cap of $10,000, and part-time employees who work at least 20 hours a week will get up to $1,000 with a cap of $5,000, the company says. "By helping ease their financial burden, our employees can better focus on our mission of building a healthier world," says CEO Mark Bertolini. Aetna's mission is not to build a healthier world, but to build a healthier corporate bottom line. Call it what it is. I've noticed that corporate mission statements are no more than feel-good sounding bullsh!t that's fed to the masses. Mark is very active politically. Many think he's vying for a presidential campaign at some point. He's someone who could win.